I have an Android phone and I have openMSX and MSX.Emu emulators installed. Each on of them has its folder which contains a config.ini file and the ROMs it uses. I don't like using MSX.Emu because its keyboard doesn't have all the keys and it doesn't allow me to use my phone keyboard to type in whatever I want. openMSX on the other hand has a better keyboard and it allows to use my phone virtual keyboard perfectly but I can't get to run all of those machines as MSX.Emu do because I don't have the configuration files for thise machines. 3- Be a teacher and teach your students (me and others) how to convert an MSX.Emu configuration file to its equivalent openMSX one and vice-versa. (This one is educational and needs quite sometime for explaining, and you (the teacher) might be needed frequently to answer some questions your students may ask from time to time. Slot manipulating in MSX is a bit harder to be understood by lots of friends. Sorry for such a long request but I really love using openMSX to run my favorite MSX machines but I can't because I don't have their congregation files. 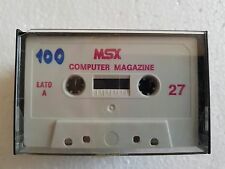 If I understand how to convert config files then I think I would make an "MSX or other OSs/platforms" program which can produce new or convert an existing configuration file for different MSX emulators. Can anyone of experts do that?! Please be patient with me and help me. I just added the AX370 to openMSX. Yesterday I downloaded openMSX latest version for Android "openmsx-0.13.0-98-g1a93dc4-android-arm-bin.apk" and updated the older openMSX but still I could not find any Arabic machines! There are no new machines nor any new XML configuration files for the Arabic machines you mentioned! 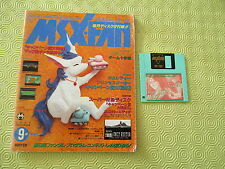 I tried to uninstall openMSX and re-install the new one but I couldn't get Arabic machines to run! C-BIOS are the only machines that are executable. So all I could do is re-copy those machines system files and re-write the missing XML for machines you didn't mention such as Al-Alamiah AX 100, 150, 370! Also I could not find the system ROM "ax370_rom01.rom" which is needed for AX370 machine! I know and that was not my problem 'cos I have all the needed system roms even for machines which openMSX latest versions still do not run like Al-Alamiah AX100 and AX150! 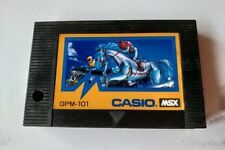 The problem is that openMSX still does not include the XML file for machines which their roms are already dumbed like ax100, ax150, perfect Arabic MSX1 & MSX2 and Spectravideo Arabic 728 and 738. It seems to me that openMSX developers to carelessly neglect most Arabic machines! Don't say that the reason is that they don't have Arabic machines system roms dumbs 'cos I can make small changes to a copy of ax170 XML file and rename it as AlAlamiah_AX100_(Mfc_YAMAHA).xml and get openMSX to run it successfully! I'll post all altered XML files of the machines openMSX still does not run which I could get them run here so you can test and/or make changes to it. The openMSX team is trying to create an MSX emulator that is as accurate as possible. For that reason we only include machine configurations which we have verified and we know which are correct. The reason that these machines are not included is that we do not know someone who has such a machine who is willing to help us to do extensive tests and make reliable ROM dumps. If you know someone who does, please ask him/her to contact me so we can add these machines to openMSX. By the way, I made a mistake in my list, I shouldn't have mentioned "Perfect MSX2", because, indeed, we are not emulating that machine yet, for the reason explained above. Sorry for that mistake. I noticed that openMSX team is naming every machine by its manufacturer's name followed by the model but that rule is not completely followed for some machines! YAMAHA AX-350, YAMAHA AX-350II and YAMAHA AX-350IIF indeed are all manufactured especially for Al-Alamiah Arabic company as Arabic MSX2 machines. So what is the reason?! So you are suggesting we should rename the Yamaha AX-350, Yamaha AX-350II and Yamaha AX-350IIF to Al Alamiah XXXXX? The point why we named them Yamaha is that the machine clearly has the Yamaha name on it. And for the Sanyo based machines, it does not have any Sanyo name on it. The same goes for the other ones. In other words: we're simply following the names that are on the machines. Manuel: These machines were not sold by Yamaha or Sanyo, but by Sakhr/Al Alamiah. It's exactly the same situation as for the machines manufactured in Korea by Daewoo, but sold outside Korea under another trademark (AVT, Bawareth, CE-TEC, Dynadata, Fenner, Network, Olympia, Talent, Wandy, Yeno). Besides, the concerned machines have the Sakhr logo, while all other machines manufactured by Yamaha or Sanyo don't have this logo. Again similar to the official Daewoo "clones" on which the trademark Daewoo generally appears besides the trademark of the real seller.